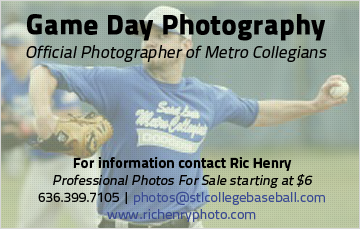 Since 1979 the St. Louis Metro Collegiate Baseball League has been the premier baseball program for college players in St. Louis area. Our reputation for superior coaching coupled with outstanding, competitive talent affords young men the opportunity to showcase their talents among the finest players in the area. This level of competition and player development is evidenced by the 400+ Metro Collegiate Alumni that have gone on to the professional ranks and the Metro League Baseball Hall of Fame where you will find 20 of these players that have played in the Major Leagues. Our Major League players include 2011 NLCS and World Series MVP, David Freese, among many others. 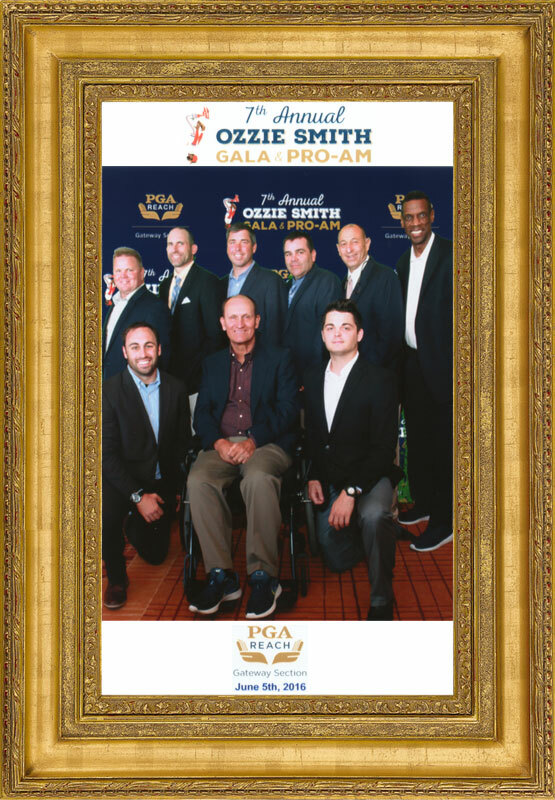 On Sunday, June 5th, a group from the St. Louis Metro Collegiate Baseball League attended the 7th Annual Ozzie Smith Gala for the Gateway Section of PGA Reach. PGA Reach is a wonderful organization and one of Mr. Smith’s favorites. Front Row: Coach "Bo" Bunton, Coach Rick Fiala and Coach Logan Bone. Back Row: Director Adam Stahl, VP Legal Corey Franklin, Coach Kevin Moulder, Director Dave McFarland, President Marty Stein and MLB Alumni Dwight "Doc" Gooden.